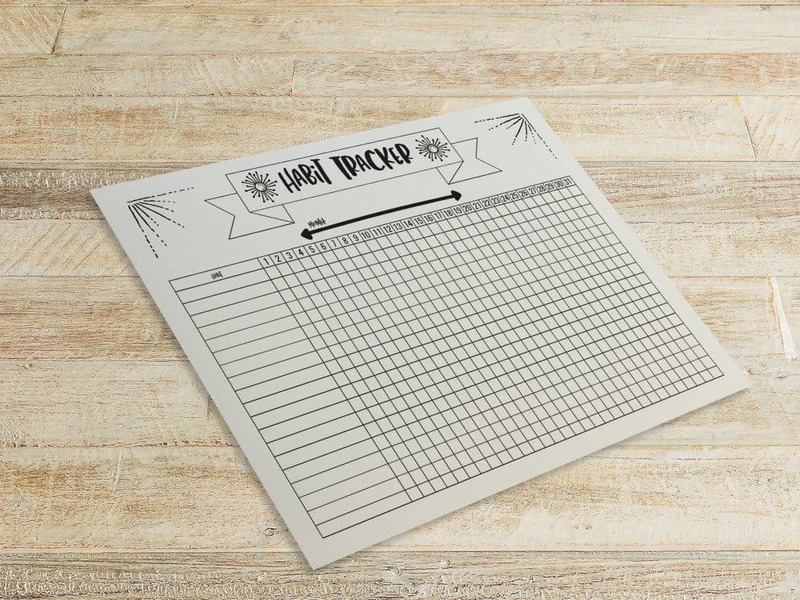 Download a free printable habit tracker. Use it with other planner printables, like this meal planner, to do list or printable washi tape! Who loves to obsessively track stuff? Me!!! That’s what I love about using a planner. However, I hate drawing everything out. I’m a bit lazy when it comes to that area. I would much rather make it once and print it out. That’s why I made a printable habit tracker. You can use it in your bullet journal or other planners as well. Personally, I like to combine my Happy Planner with bullet journaling. I get the best of both worlds: structure and flexibility. As a list maker, I want freedom to add pages, but I also want them super organized. I made the habit tracker black and white to conserve ink. This also allows for coloring! If you print it with a laser printer on thicker paper, you can even use water colors to make it even prettier. I just bought some metallic pens that I’m excited to use with it. My favorite so far is the gold jelly roll pen. Now I want all of the colors! For best results when printing, choose “Scale” and 100%. I have 2 sizes available: Letter and A5. The A5 size would be great printed on sticker paper to fit in your existing bullet journal! Letter size fits a normal binder or a Big Happy Planner. Just use the disc hole punch to insert it. 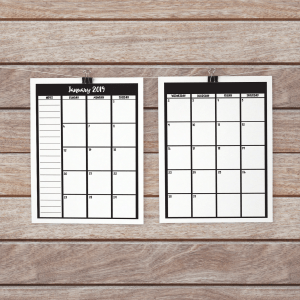 Want a Free 2019 Calendar? You also get access to my new 2019 printable calendar! 25 pages to plan your year out! Looking to organize your home this year? 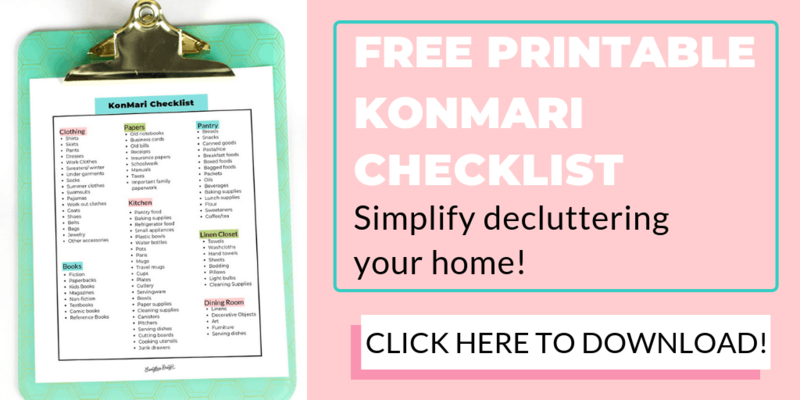 Check out my free printable KonMari checklist! 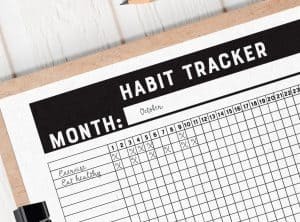 What habits do you like to track? Feedback is always welcome. Looking for a specific printable or size? Send me a message. I would love to help! 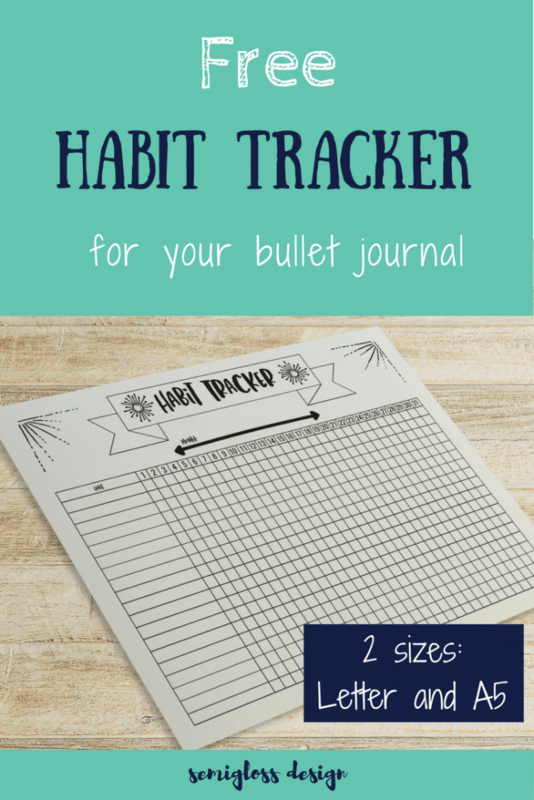 Looking for MORE Habit Trackers? If you like this FREE habit tracker, you might also like these habit trackers in my Etsy shop. If you subscribed to my newsletter, you will receive a discount code for 50% off of your first purchase! 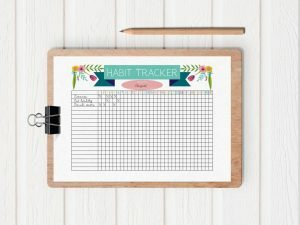 Hi there I was looking for the habit tracker in an A5 size. I keep going around in a circle! This design is fantastic! I have to have it! I just started following your blog, as you have great free printables. Thank you!